HERE WE GO FOR A NEW CHALLENGE ! 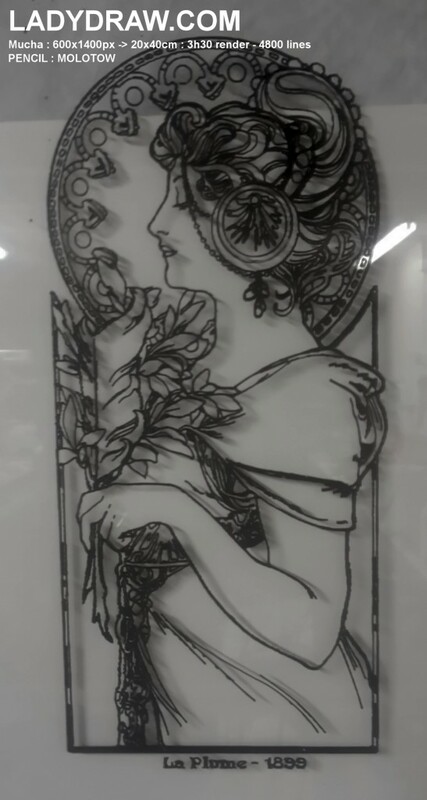 This is a Mucha – Plume 1899 . The original file is a jpg 600xs1400 pixel. Im quite proud … Video is coming. TODO : Improve algorytm of render to speed up.